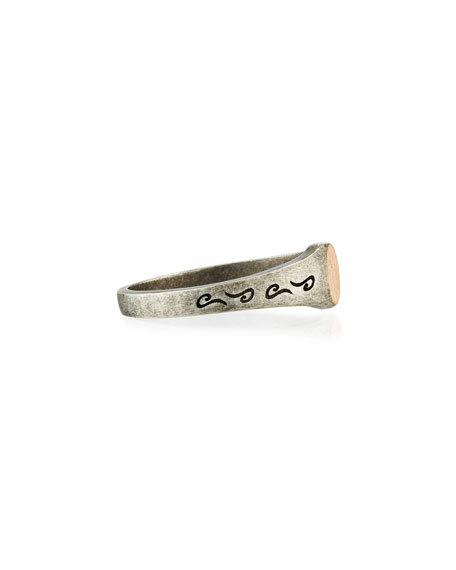 Marco Dal Maso ring from the Ara Collection. Oxidized sterling silver with etched design. Flat round face in brushed 18-karat rose gold.